1,000,000,000 music streams for Ae Dil Hai Mushkil and counting! Yes that’s 1BN and we can’t Thank You enough! 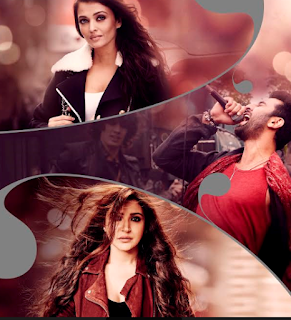 From winning prestigious awards to now crossing 1BN music streams, Ae Dil Hai Mushkil has surpassed all expectations to become the most heard album ever. The fandom continues in 2017 with the songs still topping charts, dominating radio, television and streaming channels. Today the music partners Sony music announced that the album has crossed 1BN streams, a never heard of phenomenon! From the title track to Bulleya, Channa Mereya and The Breakup Song, the music has stolen everyone’s heart undoubtedly. This is the biggest album the industry has seen !